After a long winter, spring always feels like a breath of fresh air. Play up the breezy romantic feeling of the season by decorating your wedding with soft pastels. The light fresh colors will be the perfect way to begin a new season and your new life together. 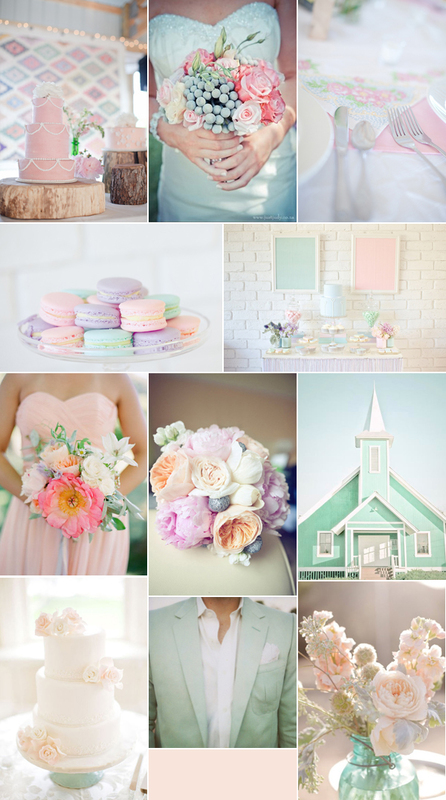 Pastels can be used in so many ways for a wedding. Because they are gentle and feminine, they combine easily with white or other neutrals as well as with each other. The loveliest spring colors are the ones that you would find on an Easter egg: soft rose, peach, lemon yellow, spring green, and robin's egg blue. For inspiration, imagine the colors of Cadbury mini-eggs. If you want to have a very delicate color palette for your wedding, add one of these colors to white; for something a little more cheerful, mix a few of the pastels together. 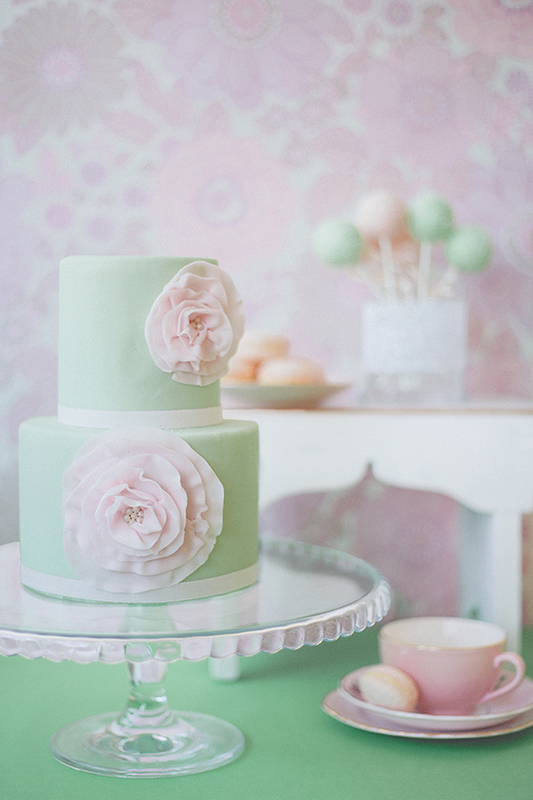 Pastels can be used in almost any wedding venue, but are especially nice for daytime weddings. The soft romantic colors work beautifully with a sunny afternoon, whether you are in a church, country club, or a garden. Of course you want to match your color palette with your location, so if your venue has a dark and heavy look (think old fashioned wood panelled library or mens' club), then you will want to choose richer colors that can stand up to the décor already in place. One of the most obvious places to use pastels in your wedding is in the flowers. Spring has the most beautiful flowers, from pink peonies, to fragrant lilacs, to sunny daffodils. Tulips are a classic spring flower that come in many fabulous pastel colors. For May brides, a very special bouquet would be pale pink lily-of-the-valley. Other great spring flowers include hyacinth and of course, roses. Floral displays can also be in pastel vessels. Or if you are mixing a few colors together, think about using a white container. For a fresh garden look, vintage white hobnail pitchers or vases would be a pretty choice. Spring bulbs can also be planted in little containers instead of cut and arranged into bouquets. The bride can work pastels into her wedding ensemble as well. Pale pink is a very flattering color on many women. It makes a gorgeous lining color for an ivory lace wedding gown. Soft green or pink as a background can also really set off embroidery, especially if it is done on an overlayer in white or ivory. 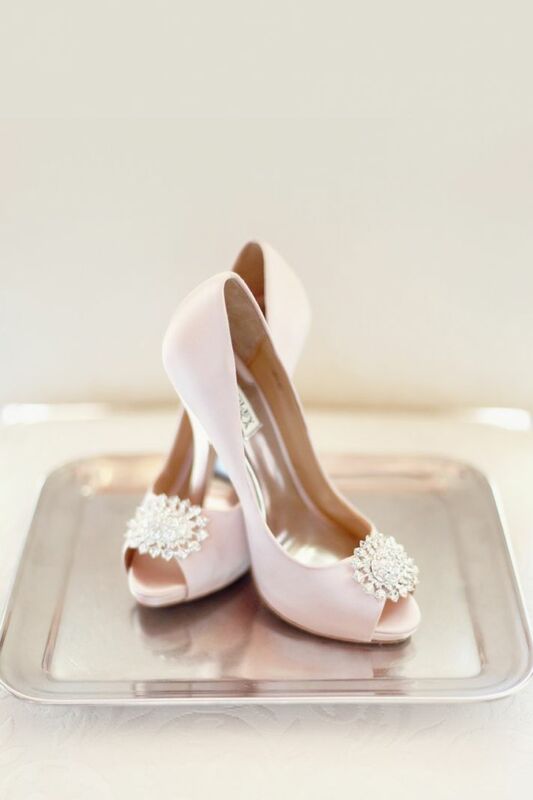 If you prefer the all white gown, then why not add some fun touches of spring pastels to your accessories? A classic gown can be more fun when worn with a great pair of shoes underneath. A pink satin sandal, or a white pump with tiny yellow daisies embroidered on the toe would be a lovely springtime detail. Another way to add a dash of subtle color to your gown is by choosing pearl bridal jewelry in rose or peach colored pearls. When the pearl is a subtle color, your bridal jewelry will look even more feminine and romantic. 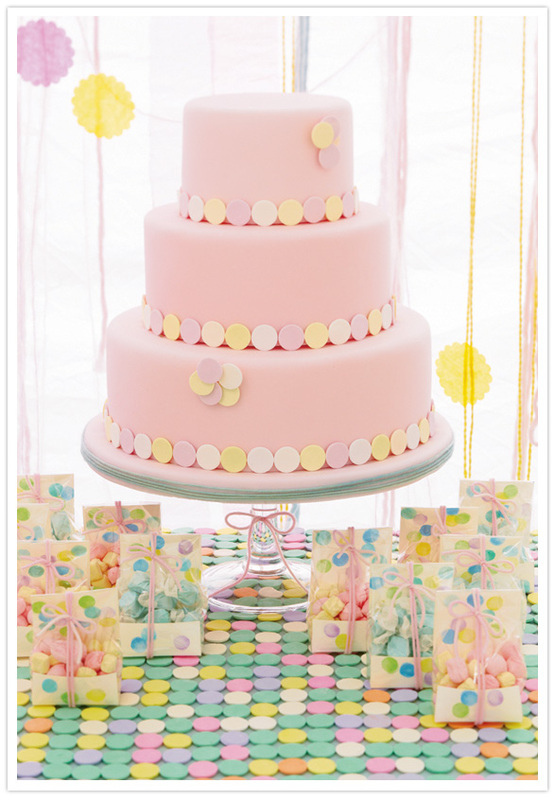 There are countless other elements of your wedding that can be enhanced with a springtime pastel palette. From favors to linens to stationary, there is no limit to ways you can add some soft color to your wedding décor. The light and fresh spring pastels will be a beautiful addition to your special day.